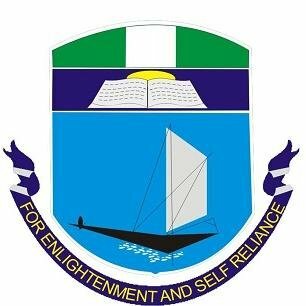 University of Port Harcourt (UNIPORT) M.Sc Programme in Security and Intelligence Studies Admission Form, Admission Requirements, Duration, Application Guidelines for 2018/2019 Academic Session. The Institute of Niger of Niger Delta was established in June 2011 to train and produce a crop of people who are equipped with analytical, conceptual and critical thinking skills in security issues, with a view to enhance their employability and professional career development to meet today’s industrial and social needs in the global community. The Institute is aimed at producing world class professionals in Security and Intelligence. To inculcate in students the ability to critically examine the nature, extent and effects of security problems in the Niger Delta and the global society. To conduct training in national Security and Intelligence for the Police, Military, corporate security outfits and the Intelligence Community. The M.Sc. programme in Security and Intelligence Studies is open to candidates with at least a Second Class Honours Degree in any Discipline and a minimum CGPA of 3.00 on a 5.00 point scale. The M.Sc. programme is a full-time programme that will last for 12 calendar months. The sale of Application Form shall end on 30th April, 2019. Completed Application Forms must be returned to the Director, Institute of Niger Delta Studies, University of Port Harcourt. On or before 7th May, 2019. Commencement of classes is on 25th June, 2019. ENQUIRIES: For enquiries please call 07035155448 or e-mail director.inds@uniport.edu.ng.